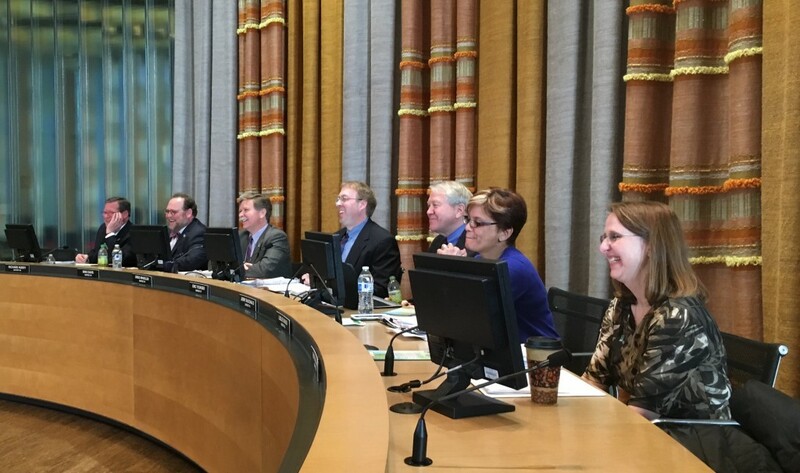 The Bremerton City Council voted on three items Wednesday evening that might not be front page news. But they will have an impact on how government business is done in the city and county. Taxicab regulations: Bremerton City Attorney Roger Lubovich introduced two updates to the city’s taxicab regulatory framework, passed in 2014. First, the city will not be regulating “transportation network companies” like Uber and Lyft. And second, the police chief now has the authority to immediately suspend a cab license without an appeal period. Lubovich said that was necessary to get the driver off the streets should public safety be threatened. “If we have an incident — a public safety issue — we need to be able to revoke that immediately,” he said. CenCom changes to Kitsap 911: As you may have read in the Kitsap Sun recently, CenCom (or Kitsap County Central Communications) is becoming Kitsap 911. The county’s dispatch service is becoming a standalone agency separate from Kitsap County. Like other agencies that use the dispatch services, that involves moving assets to Kitsap 911 so the switch can occur. Councilman Greg Wheeler noted that the public will notice no change to 911. “Everything you’ve come to expect will remain the same,” he said. Car tab fees: The Bremerton City Council is the board which oversees the pot of money that is our accumulated $20 car tab fees. 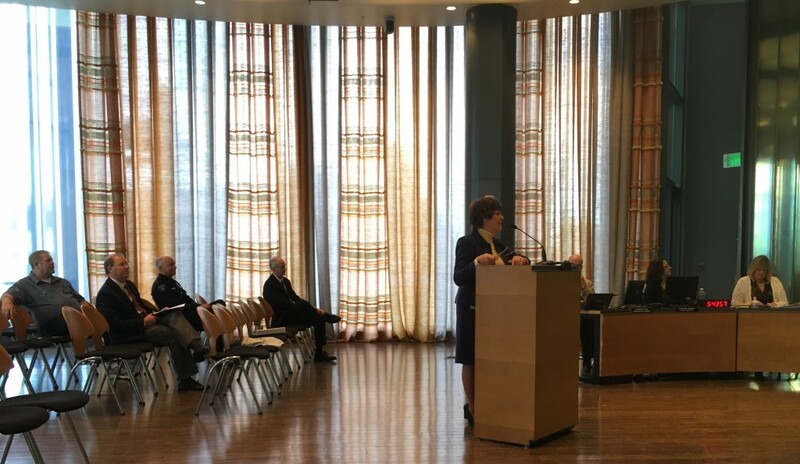 But under state law, the Council had to hold a separate meeting of something called the Transportation Benefit District board to discuss the funds and how to use them. No more. In a vote Wednesday, the Council has effectively merged the benefit district with the Council itself. “More government and more boards … just make for more work for an already overtaxed staff,” he said. 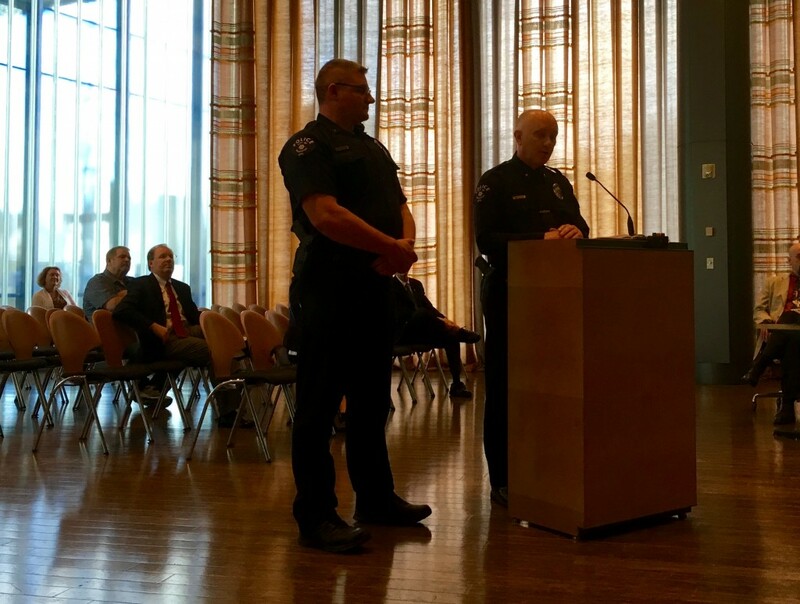 Fisher’s departure: The Council bid adieu to Bremerton Police Lt. Pete Fisher, who is taking the job as Fife Police Chief. I have a full profile of Fisher here. The curbs are coming: Mayor Patty Lent acknowledged that this year, all of the curb ramps at intersections on Warren Avenue and Wheaton Way will be replaced and modernized. The state is doing the work in preparation for repaving the thoroughfare — Highway 303 — in 2017. I have more background on this process here. Chief’s report: Bremerton Police Chief Steve Strachan produced some interesting statistics. Arrests are up in the city from 155 in the month of February 2014 to 210 this past February. He blamed many of those on offenders who skipped court dates (therefore they’re not new crimes). Thefts ticked up in the same period in the city though, from 39 in February 2014 to 53 last month. Strachan also pointed out police are stepping up efforts at the intersection of 6th Street and Park Avenue. Between January and early March, there had already been 11 assaults there. Strachan introduced his department’s professional standards report, which documents officer discipline and use of force, among other things. He noted the department has adopted a more strict policy when pursuing eluding vehicles — basically they can chase someone by vehicle suspected of a violent felony. He does not believe the chases are safe on city streets, and Bremerton has the most strict of pursuit policies. The numbers showed what that can do: pursuits were down from 21 in 2014 to 8 last year. You can read the whole report here. Just wondering, is there a way to voice our opinion on the money collected from every registered city of Bremerton resident paying $20 per vehicle? We sure would like to see some of that $$$$ spent on local roads in our neighborhoods. Really. And, WOULD THEY REALLY LISTEN. Thanks. Did the state change the law that the TBD no longer needs to be acting “Ex-officio”? It is clear that the regulation demands that the body be like an independent operating business with a treasurer, being able to independently contract, etc. Thanks for these City Council write-ups! Really appreciate your efforts to keep us all plugged in. So the car tab tax will be meged into the general fund, like the excess dollars from the waste water, sewage, and water utilities? Wonderful. More money the mayor can pour into her pet downtown projects while the roads continue to deteriorate and raw sewage is pumped into the waters around Bremerton. I’d much prefer the sewage systems be corrected.